Kanye's got a lot on his plate right now. The G.O.O.D. Music compilation is slated to drop this year, then there's that Watch The Throne sequel, and he'll presumably play a role in Jay-Z's next album, as well as overseeing projects from everyone else on the G.O.O.D. Music roster—not to mention DJing as YEEZY WORLD PEACE. But not to worry; the guy's a workhorse. We suspect he will draw inspiration from all of those projects when he finally settles into a creative groove for his follow-up to the stellar My Beautiful Dark Twisted Fantasy, which was released back in 2010 but still sounds fresh. 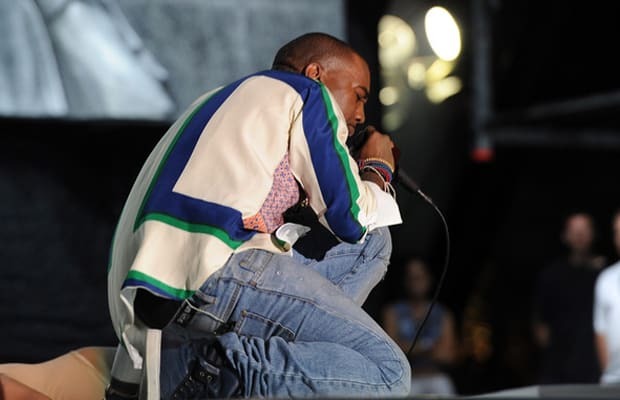 Kanye reinvents himself with every album, and we don't see that stopping in 2012. We just hope he brings back G.O.O.D. Fridays.